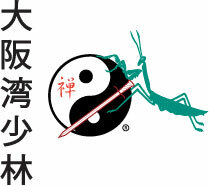 The Chinese characters for Tai Chi Chuan can be translated as the 'Supreme Ultimate Force'. The notion of 'supreme ultimate' is often associated with the Chinese concept of yin-yang, the notion that one can see a dynamic duality (male/female, active/passive, dark/light, forceful/yielding, etc.) in all things. 'Force' (or, more literally, 'fist') can be thought of here as the means or way of achieving this ying-yang, or 'supreme-ultimate' discipline. Tai Chi, as it is practiced in the west today, can perhaps best be thought of as a moving form of yoga and meditation combined. There are a number of so- called forms (sometimes also called 'sets') which consist of a sequence of movements. Many of these movements are originally derived from the martial arts (and perhaps even more ancestrally than that, from the natural movements of animals and birds) although the way they are performed in Tai Chi is slowly, softly and gracefully with smooth and even transitions between them. For many practicioners the focus in doing them is not, first and foremost, martial, but as a meditative exercise for the body. For others the combat aspects of Tai Chi are of considerable interest. In Chinese philosophy and medicine there exists the concept of 'chi', a vital force that animates the body. One of the avowed aims of Tai Chi is to foster the circulation of this 'chi' within the body, the belief being that by doing so the health and vitality of the person are enhanced. This 'chi' circulates in patterns that are close related to the nervous and vascular system and thus the notion is closely connected with that of the practice of acupuncture and other oriental healing arts. Another aim of Tai Chi is to foster a calm and tranquil mind, focused on the precise execution of these exercises. Learning to do them correctly provides a practical avenue for learning about such things as balance, alignment, fine-scale motor control, rhythm of movement, the genesis of movement from the body's vital center, and so on. Thus the practice of Tai Chi can in some measure contribute to being able to better stand, walk, move, run, etc. in other spheres of life as well. Many practitioners notice benefits in terms of correcting poor postural, alignment or movement patterns which can contribute to tension or injury. Furthermore the meditative nature of the exercises is calming and relaxing in and of itself. Because the Tai Chi movements have their origins in the martial arts, practicing them does have some martial applications. In a two-person exercise called 'push-hands' Tai Chi principles are developed in terms of being sensitive to and responsive of another person's 'chi' or vital energy. It is also an opportunity to employ some of the martial aspects of Tai Chi in a kind of slow-tempo combat. Long-time practitioners of Tai Chi who are so-inclined can become very adept at martial arts. The emphasis in Tai Chi is on being able to channel potentially destructive energy (in the form of a kick or a punch) away from one in a manner that will dissipate the energy or send it in a direction where it is no longer a danger. The practical exercises of Tai Chi are also situated in a wider philosophical context of Taoism. This is a reflective, mystical Chinese tradition first associated with the scholar and mystic Lao Tsu, an older contemporary of Confucius. He wrote and taught in the province of Honan in the 6th century B.C. and authored the seminal work of Taoism, the Tao Te Ching. As a philosophy, Taoism has many elements but fundamentally it espouses a calm, reflective and mystic view of the world steeped in the beauty and tranquillity of nature. Tai Chi also has, particularly amongst eastern practitioners, a long connection with the I Ching a Chinese system of divination. There are associations between the 8 basic I Ching trigrams plus the five elements of Chinese alchemy (metal, wood, fire, water and earth) with the thirteen basic postures of Tai Chi created by Chang San-feng. There are also other associations with the full 64 trigrams of the I Ching and other movements in the Tai Chi form. Tai Chi and Tai Chi Sword. Tai Chi at Osaka Bay Shaolin is taught as a traditional Martial Art, not only a new age health practice. You will be shown the use and application of each movement in addition to the health benefits. Also developing martial understanding through Push Hands drills.